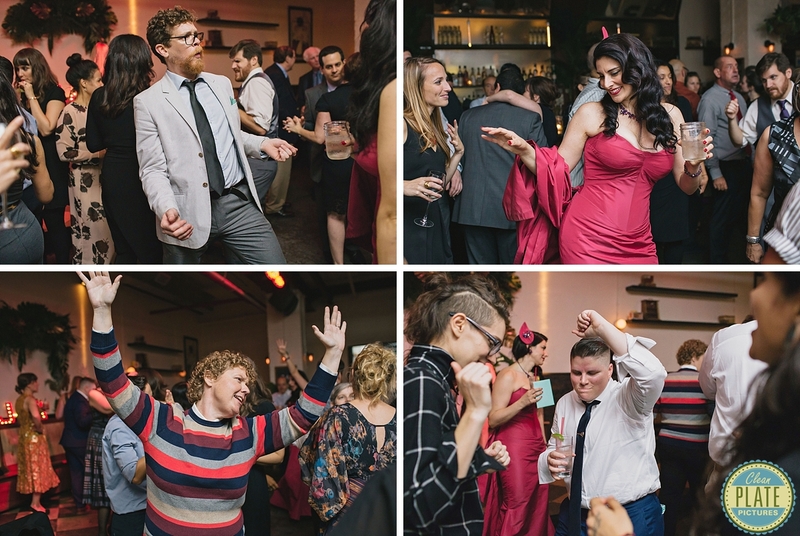 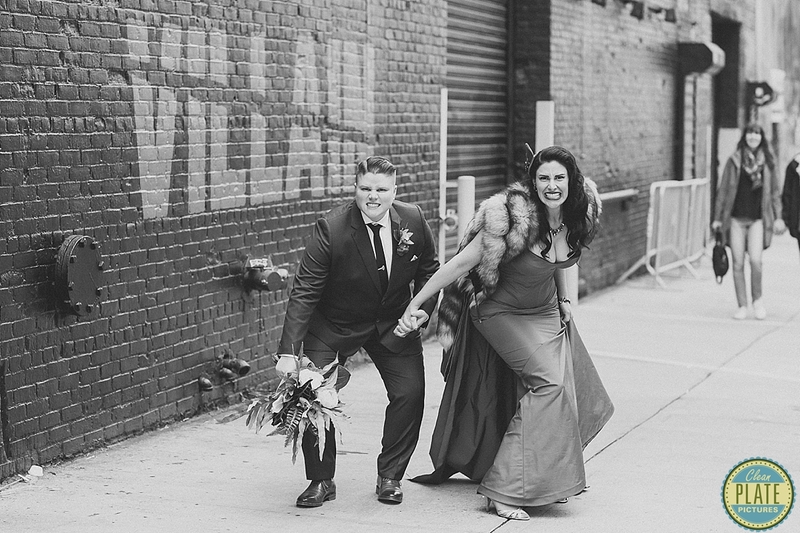 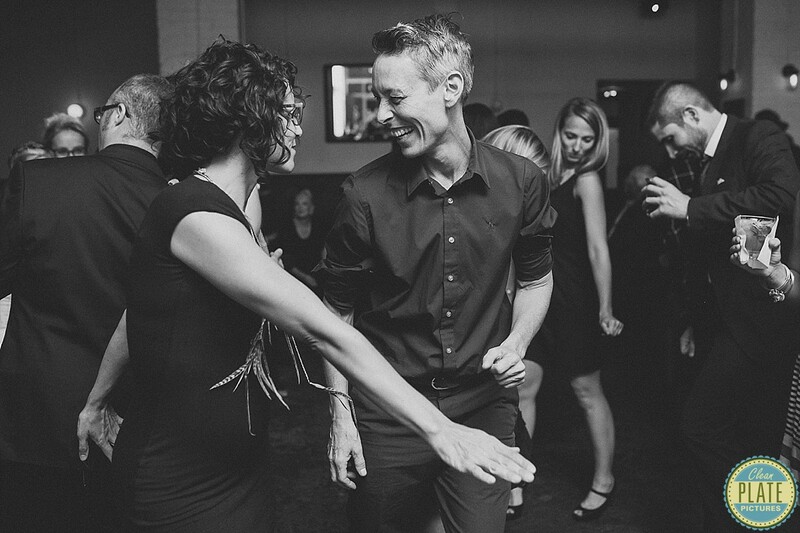 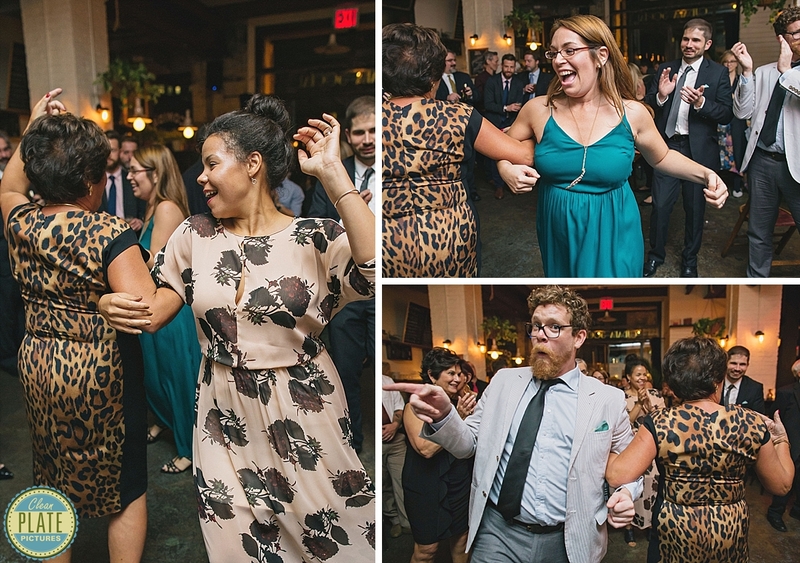 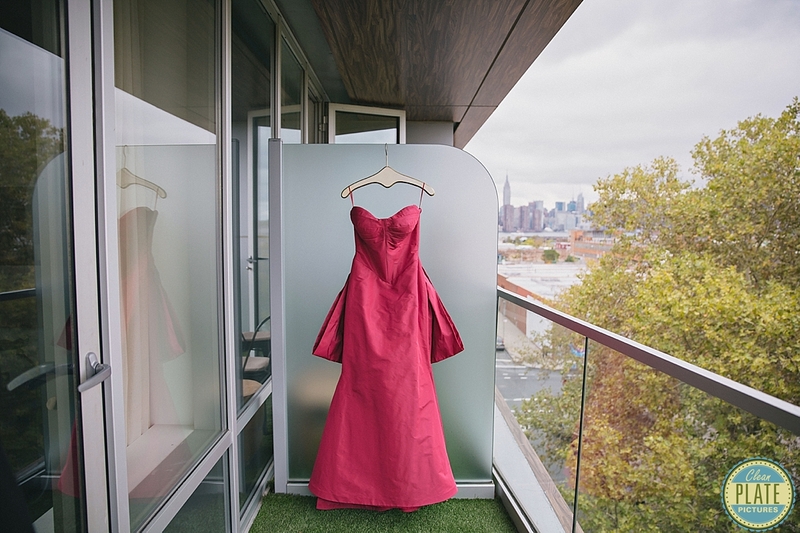 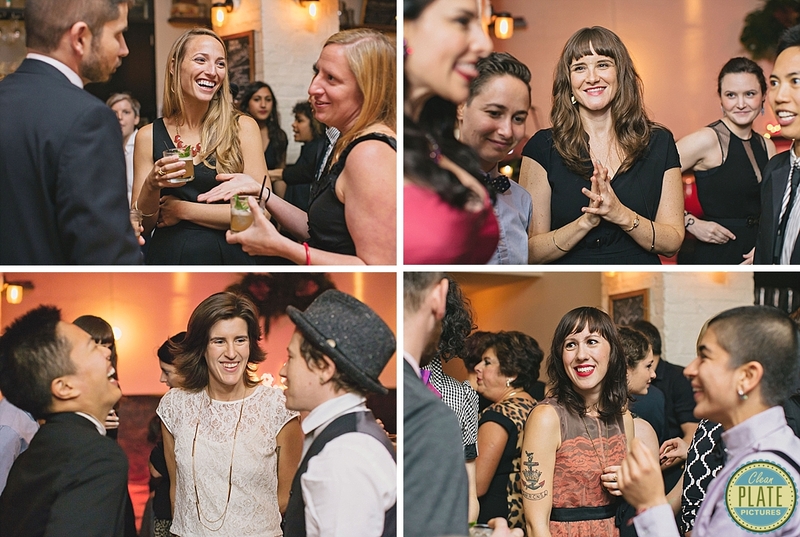 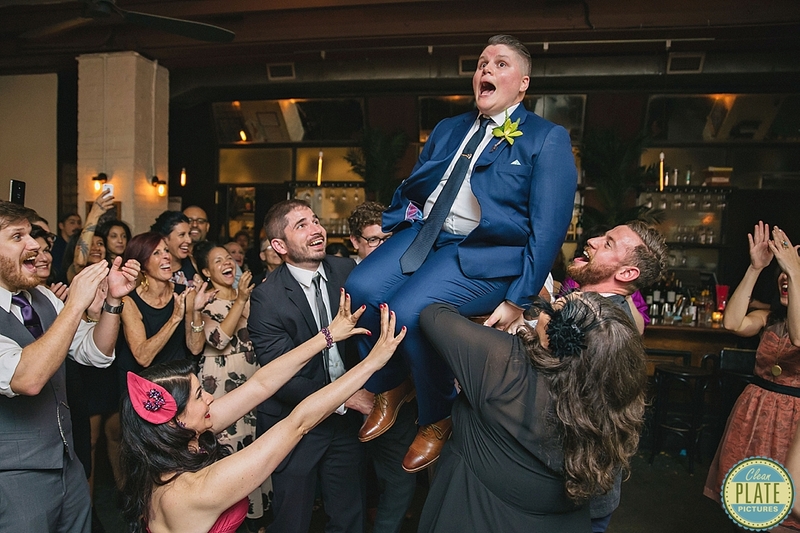 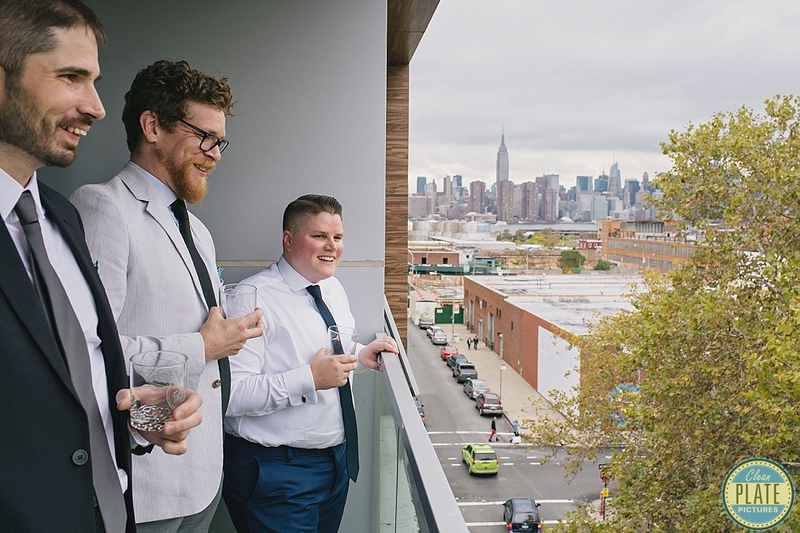 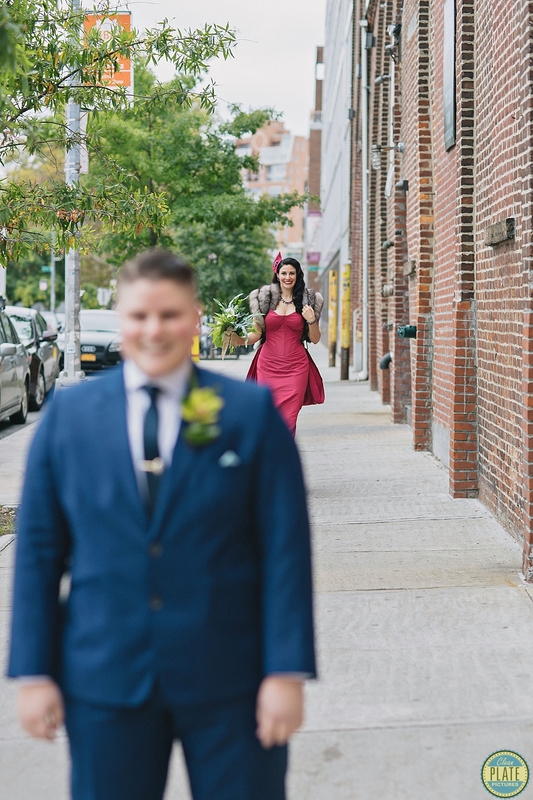 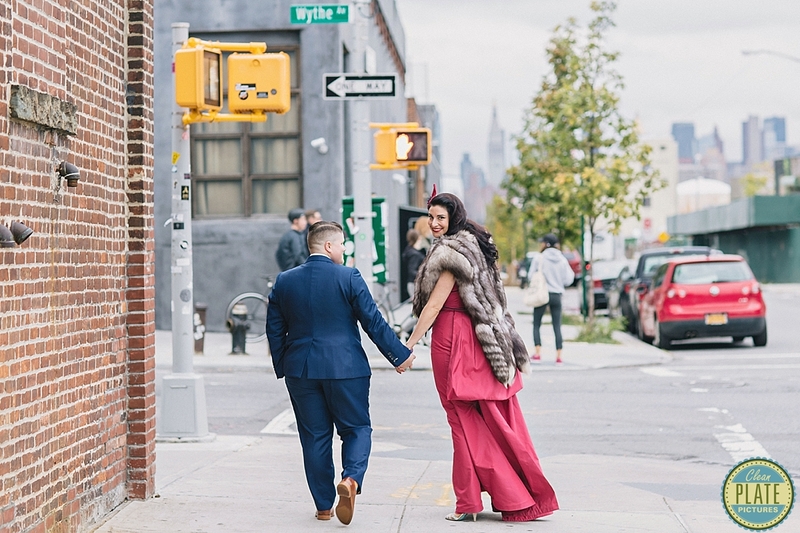 Jackie and Ames’s fabulous affair in Williamsburg, Brooklyn, was one of the most offbeat and original weddings I’ve ever photographed. 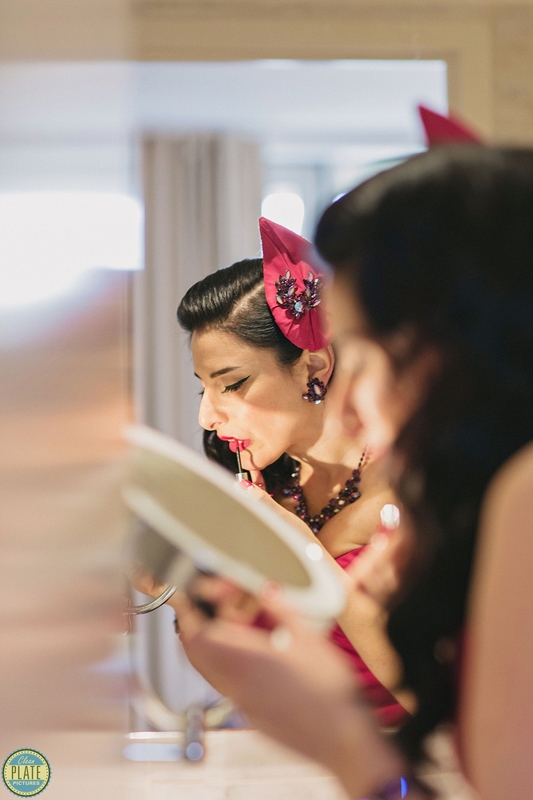 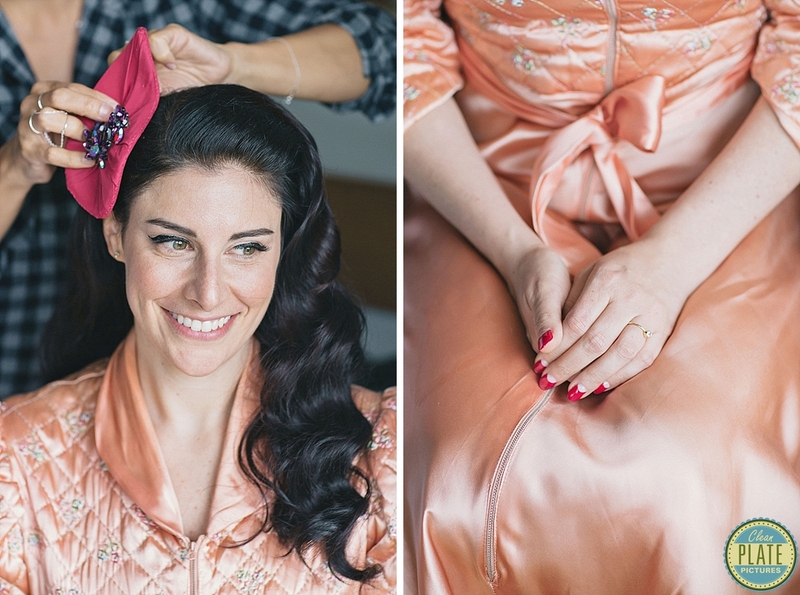 Jackie is an amazing professional hair and makeup artist and has been part of many weddings, so she knew how to make hers extra special. 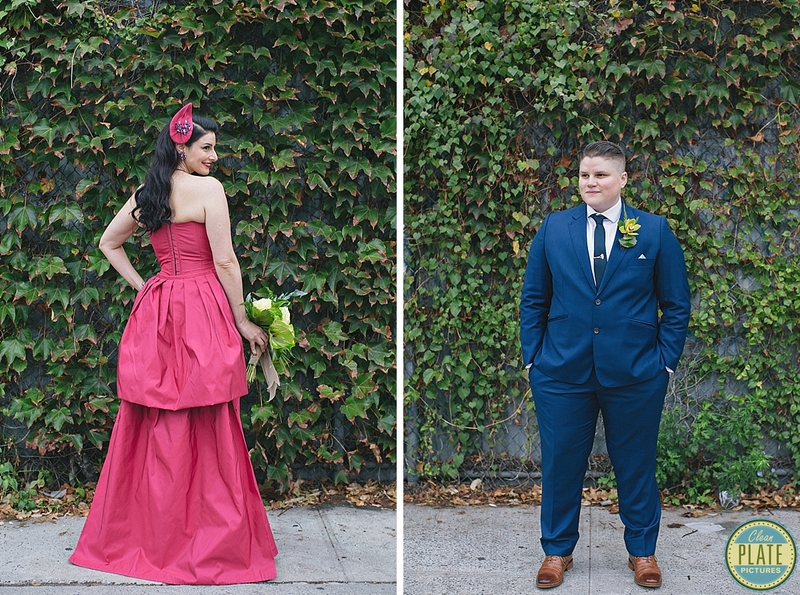 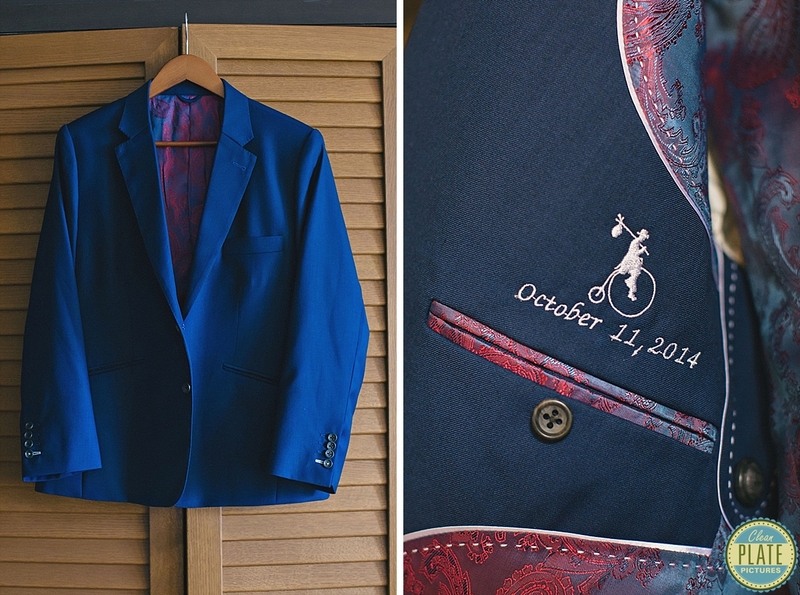 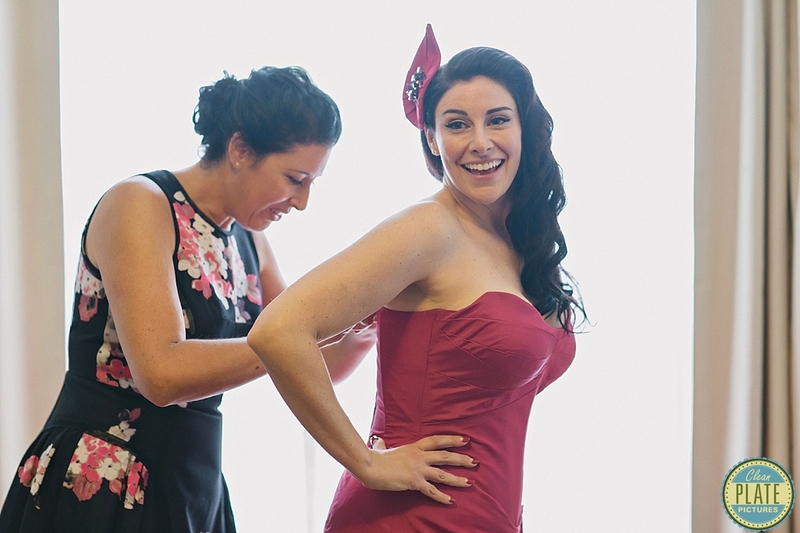 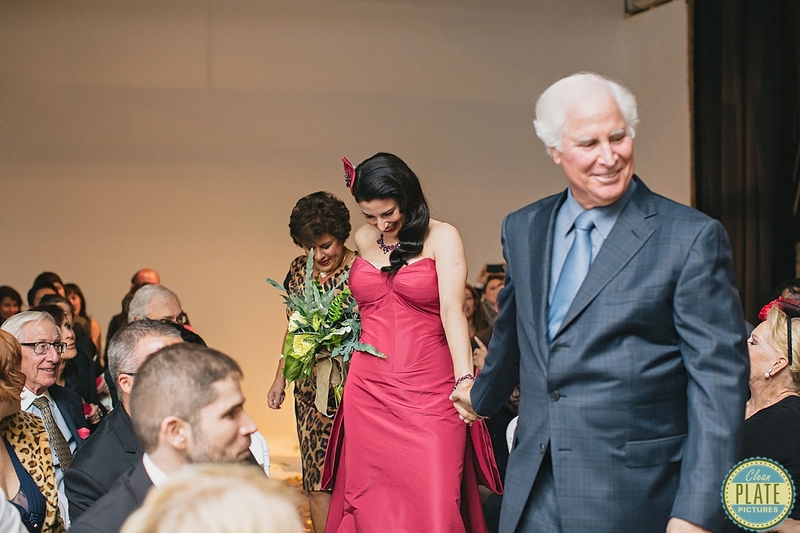 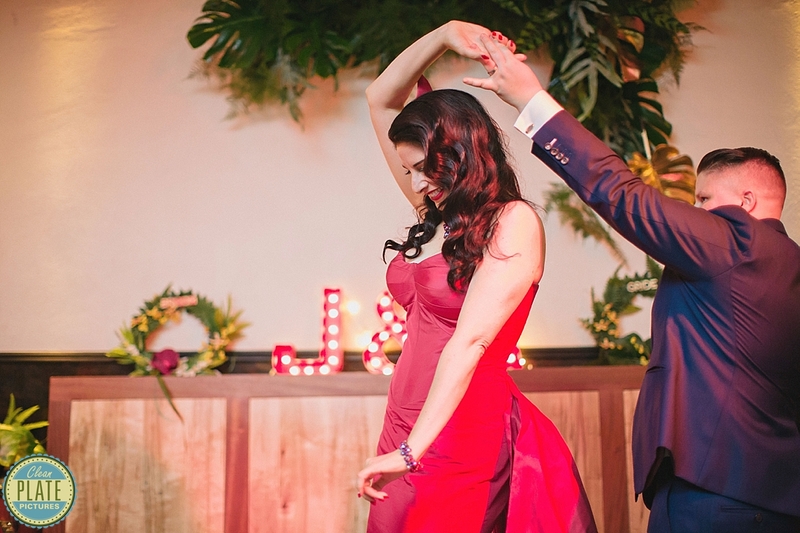 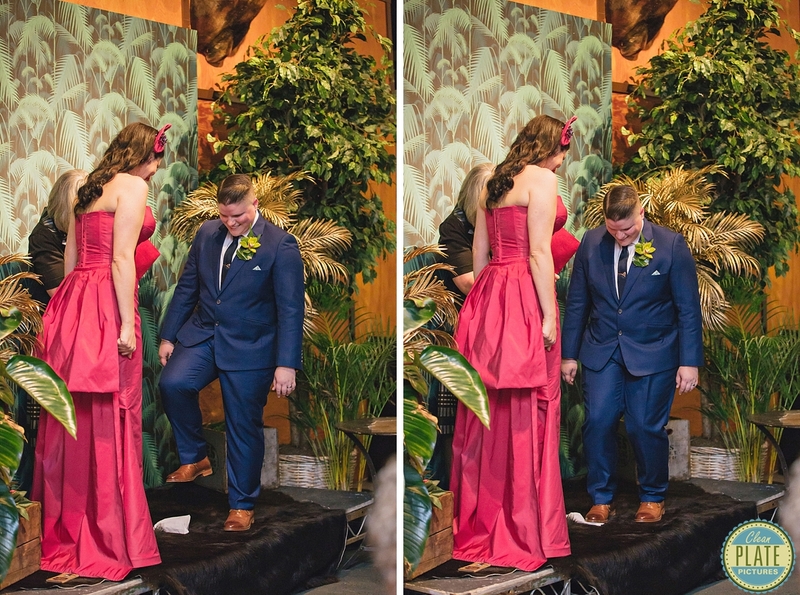 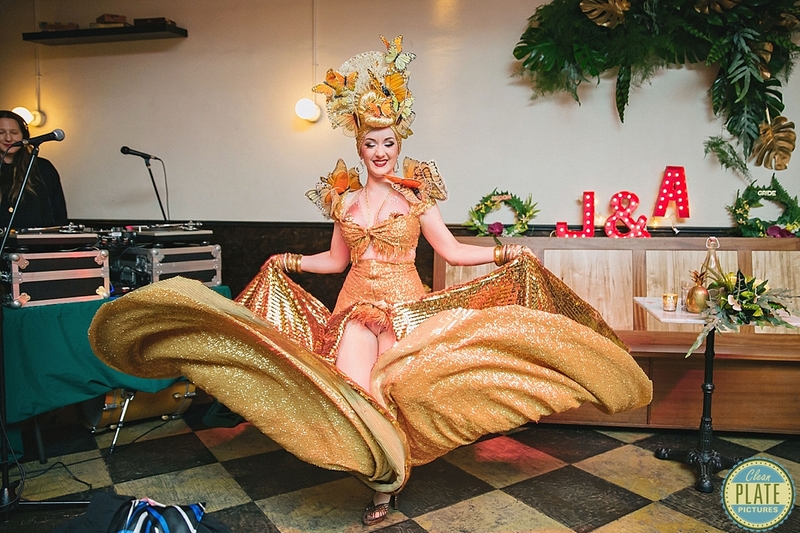 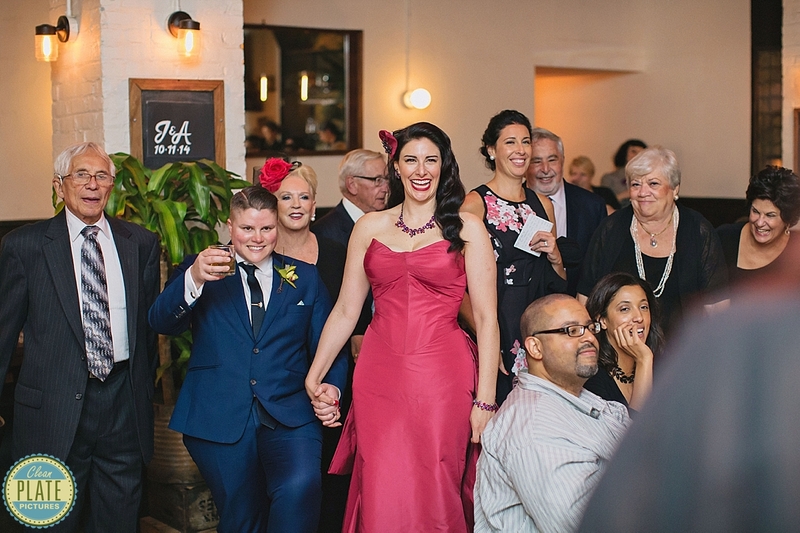 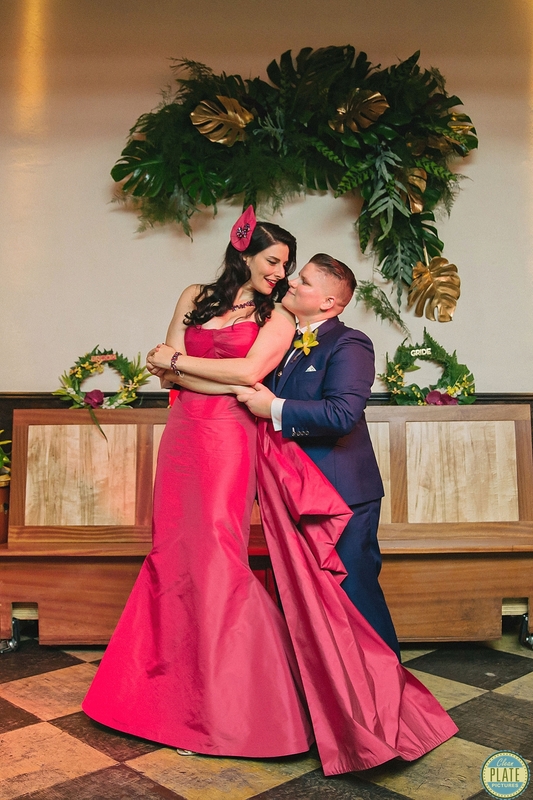 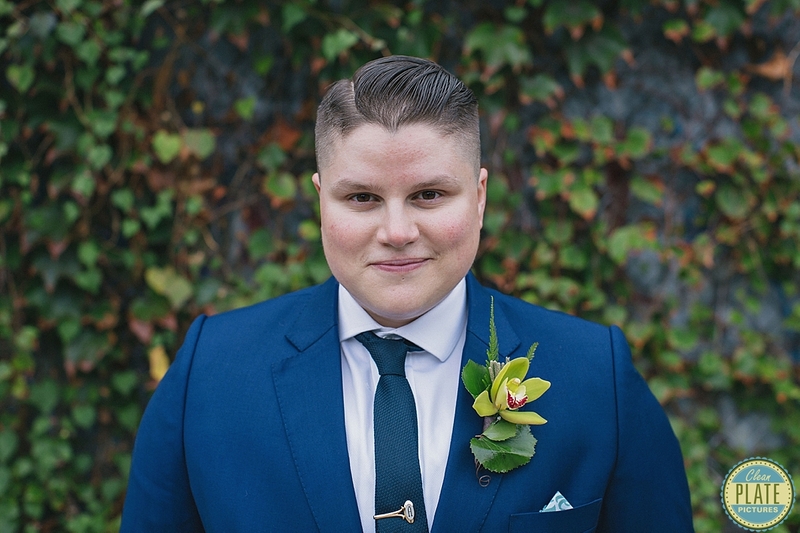 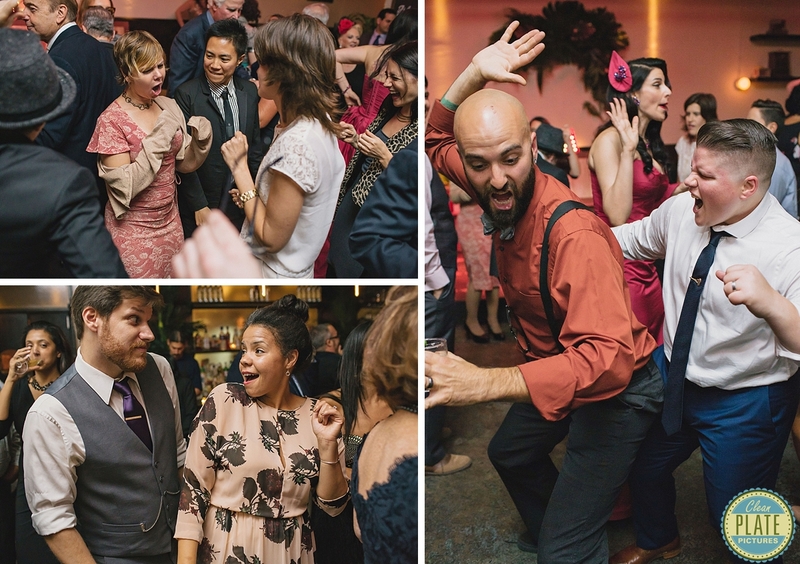 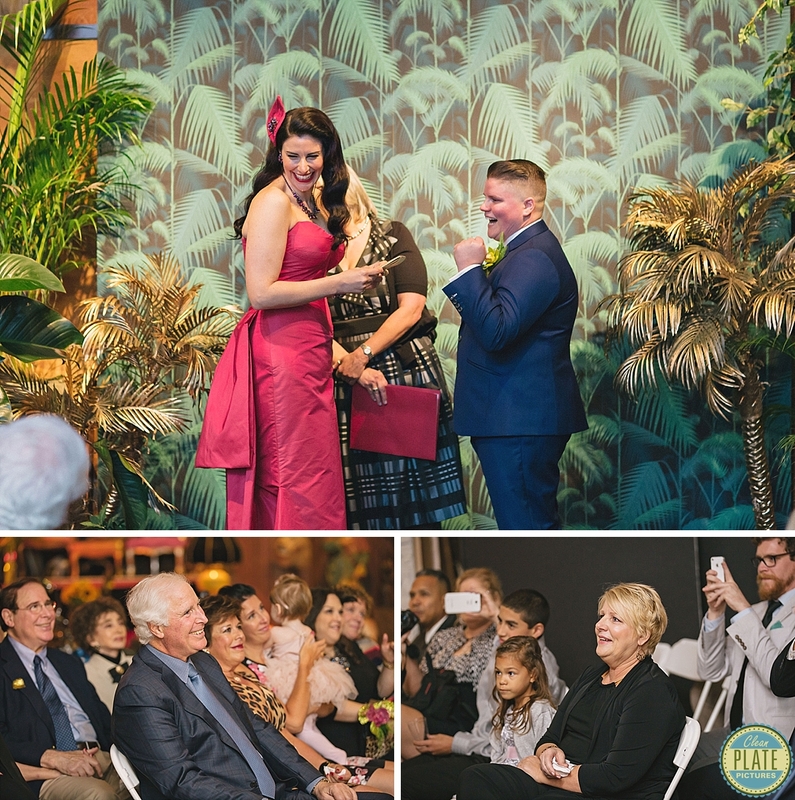 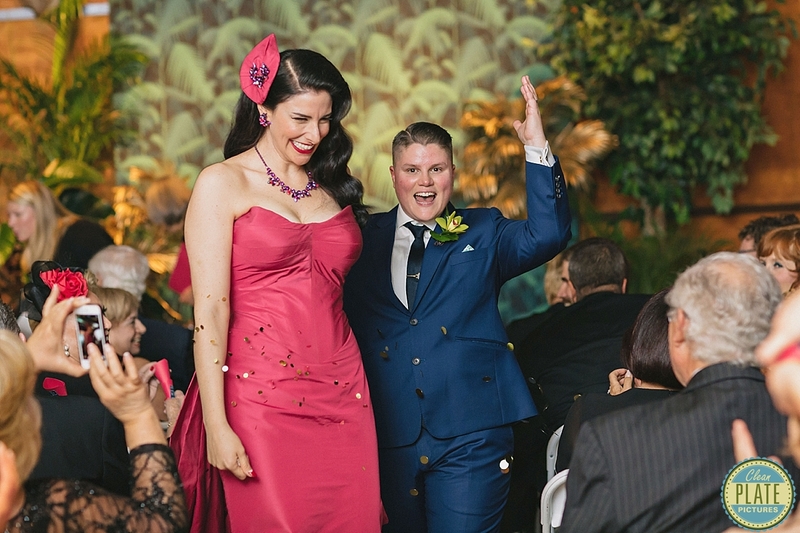 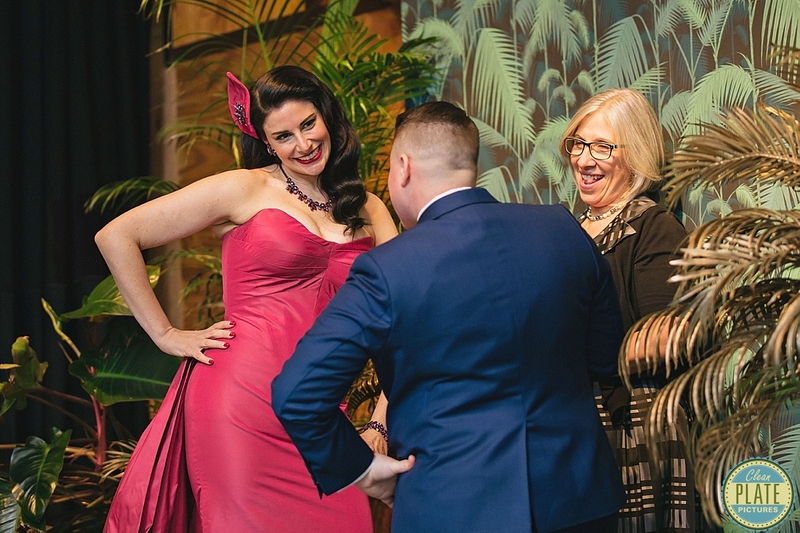 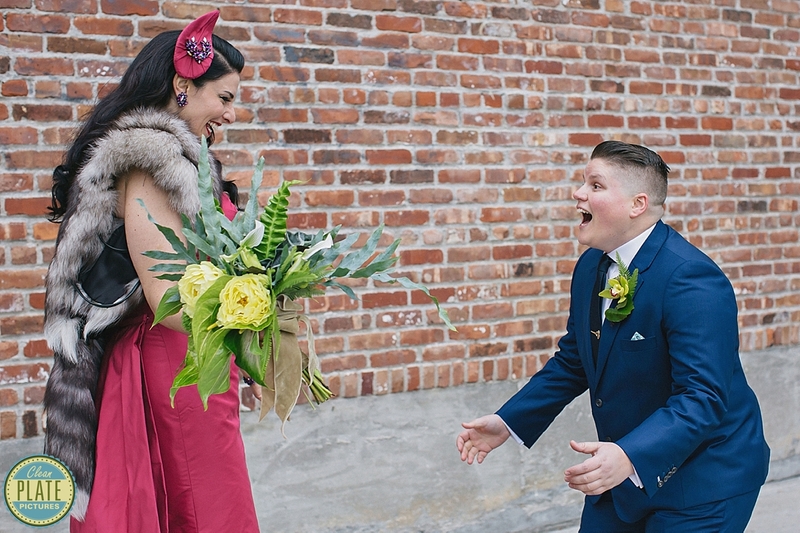 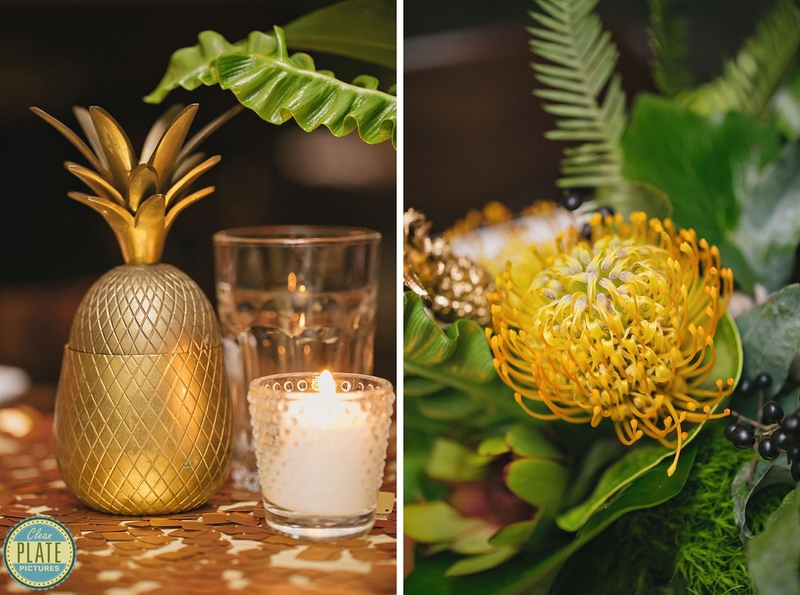 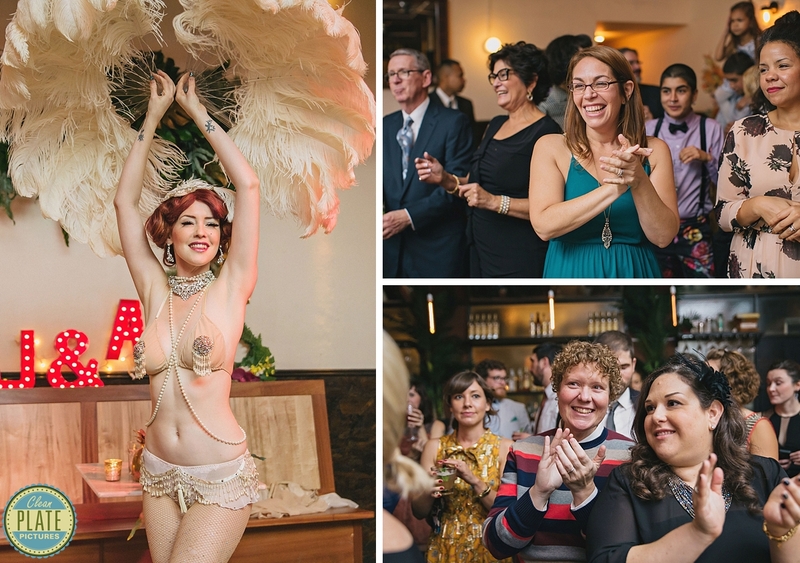 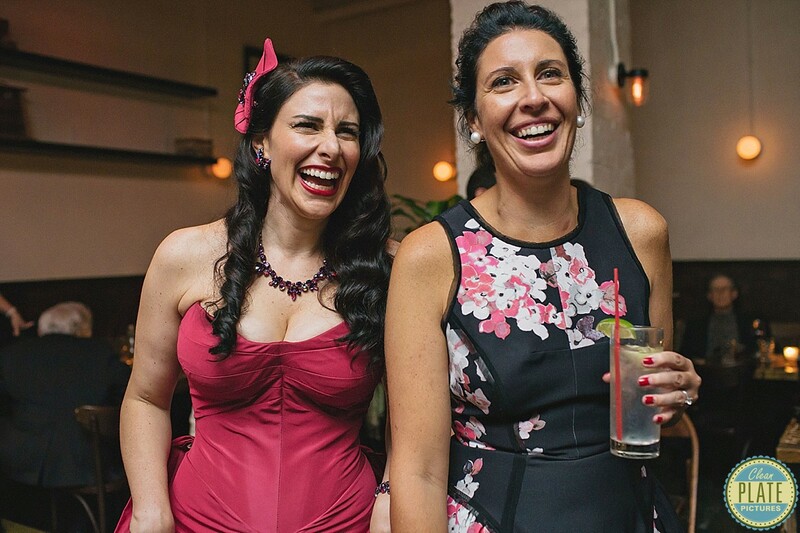 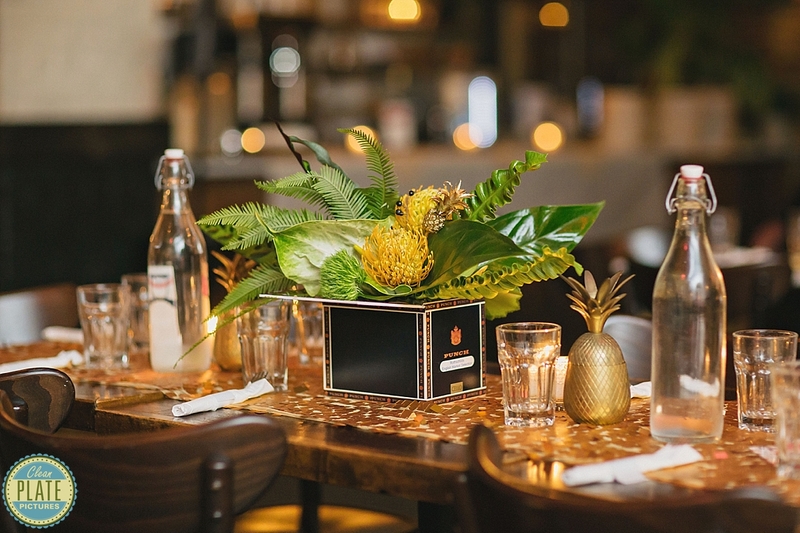 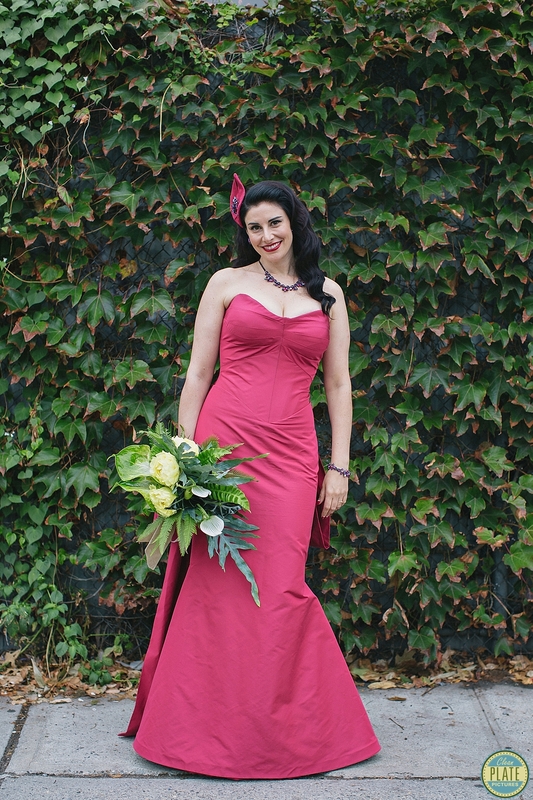 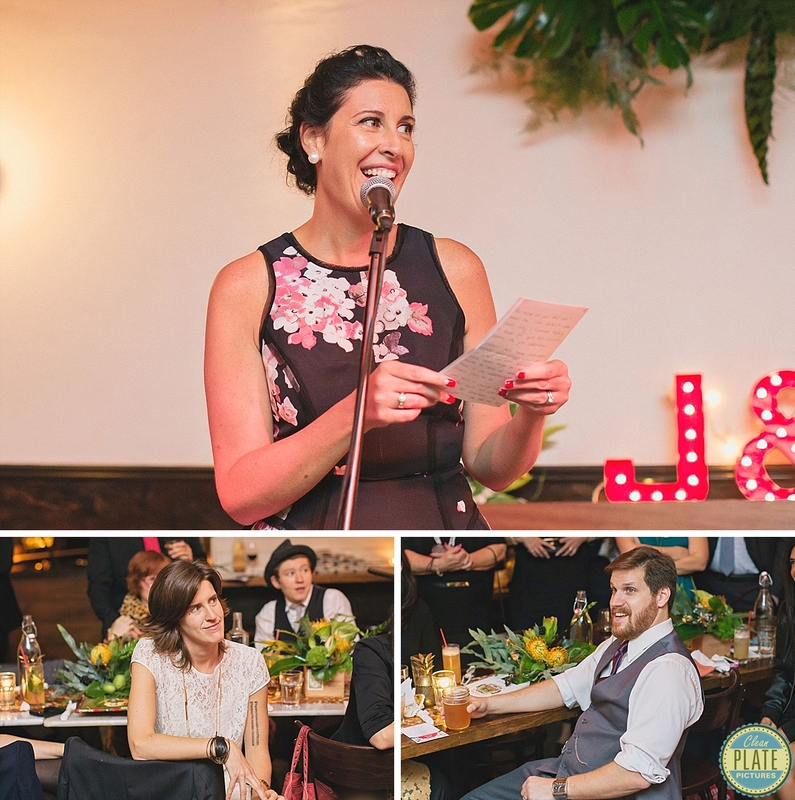 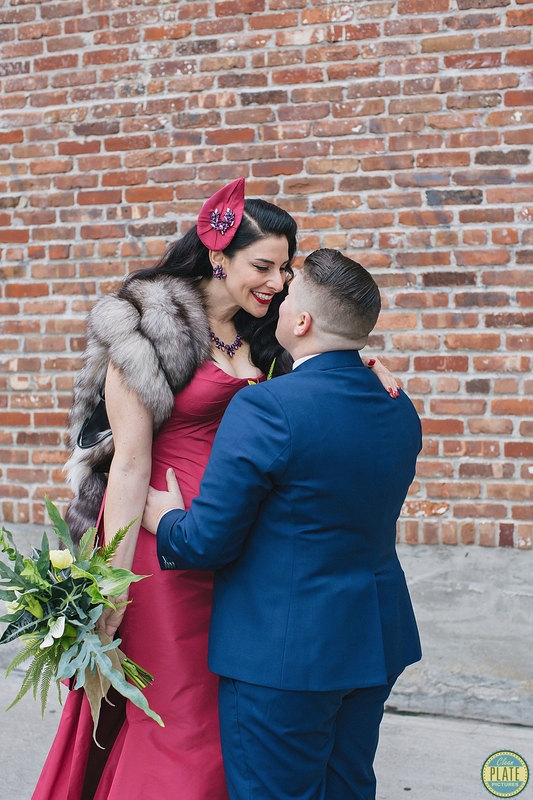 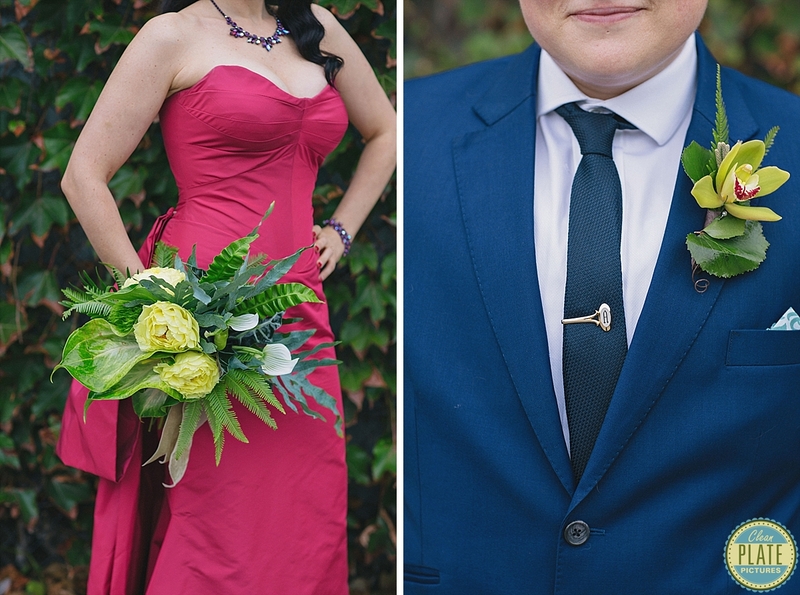 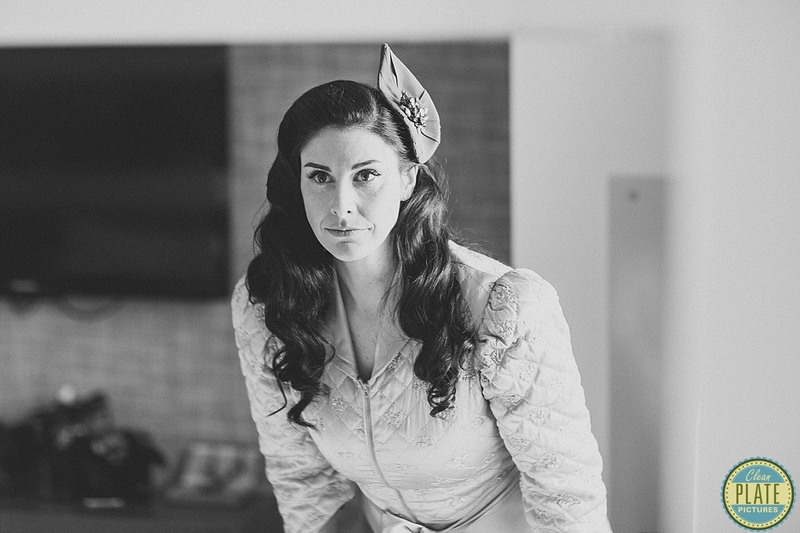 Jackie’s stunning custom dress and Ames’s bespoke suit were killer, and all the tropical vintage details were awesome. 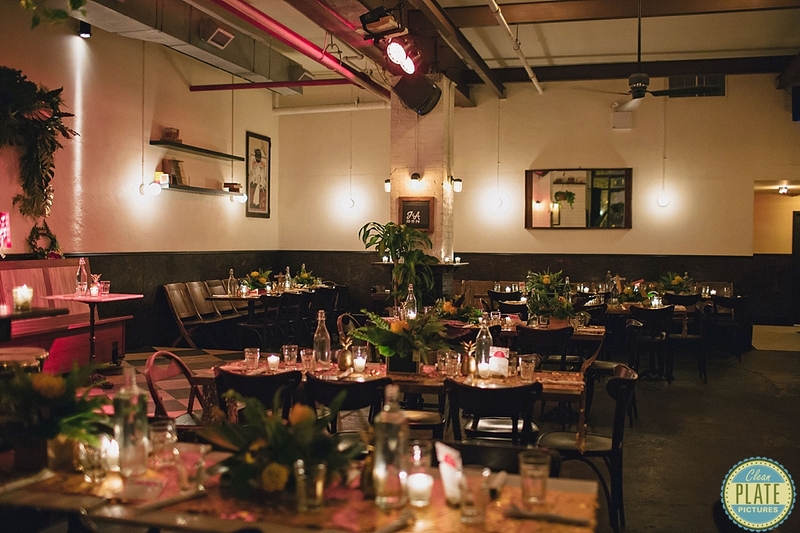 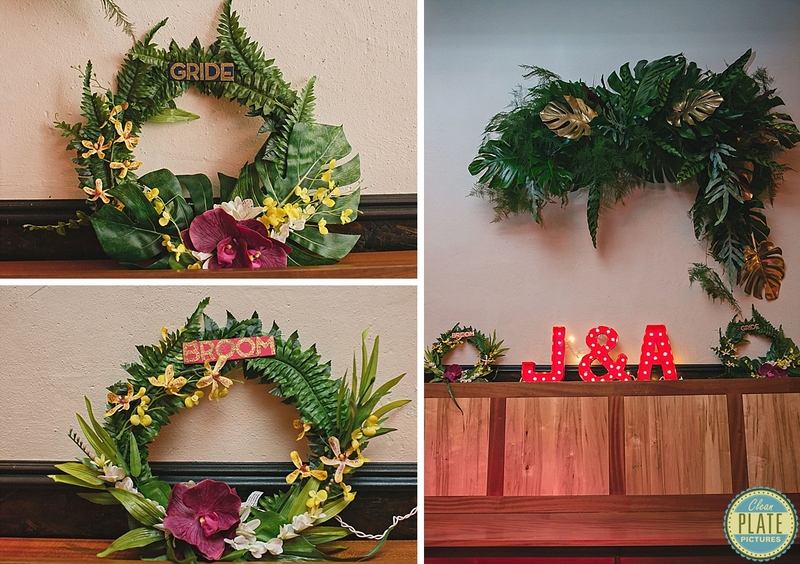 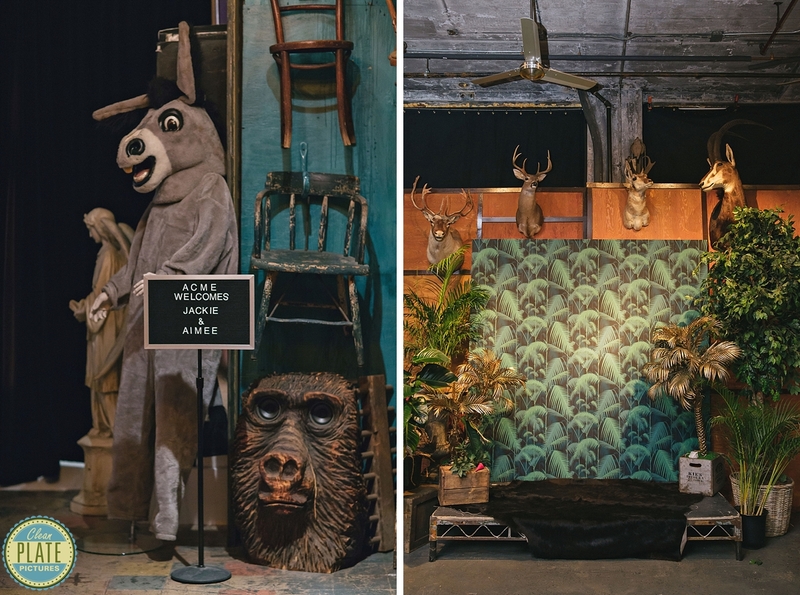 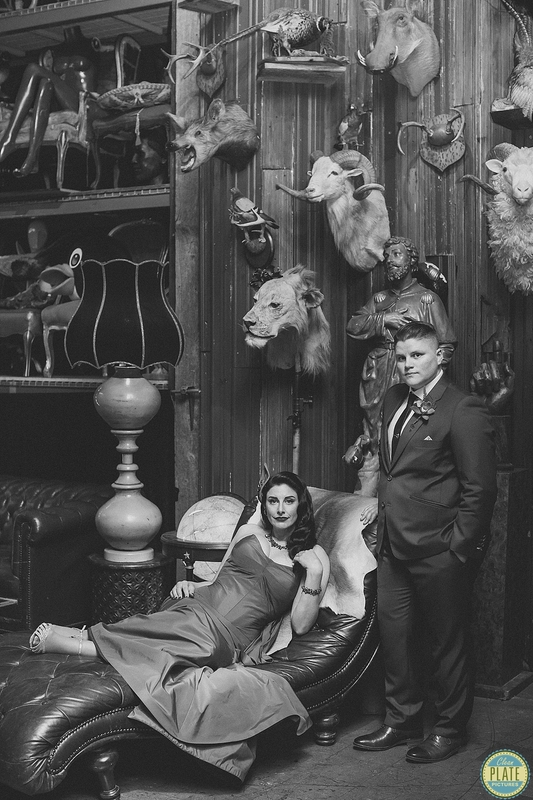 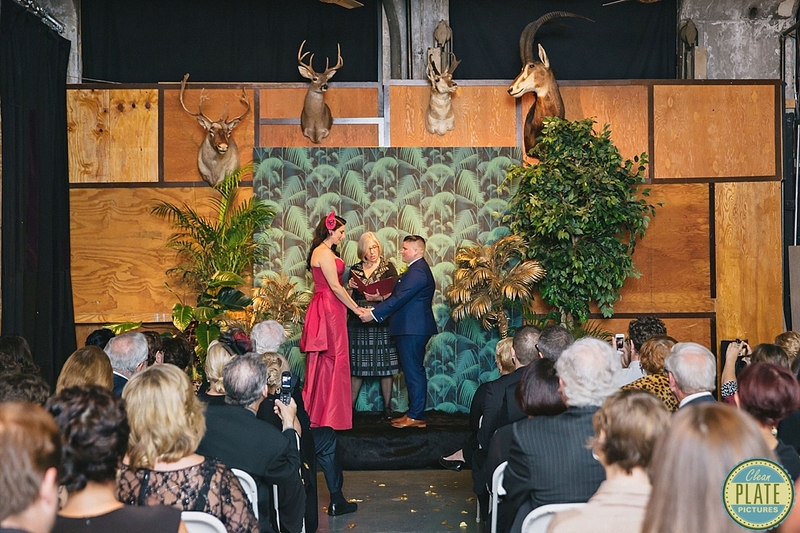 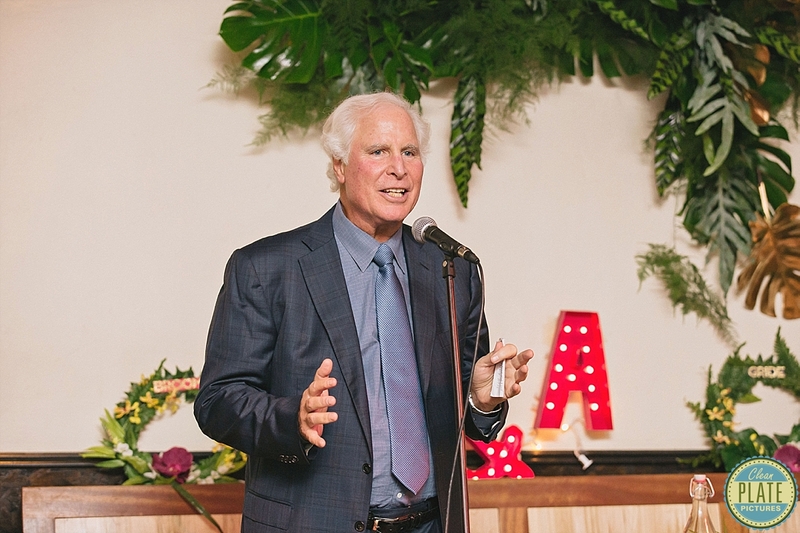 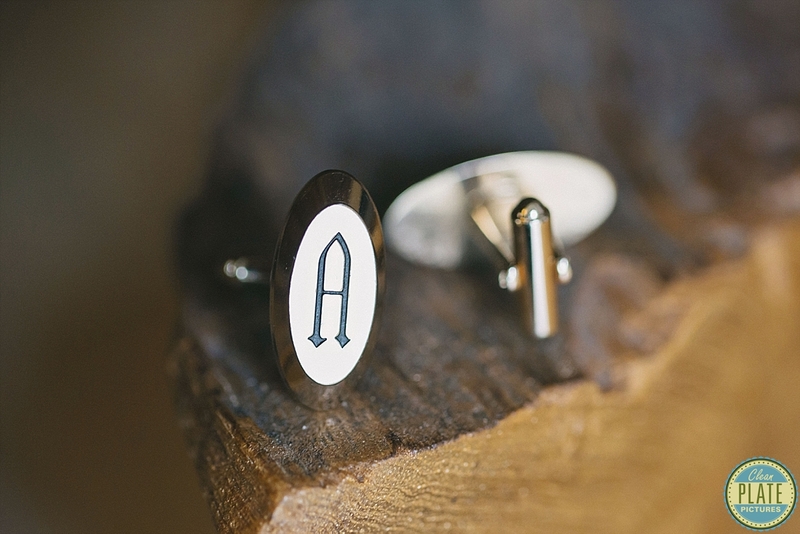 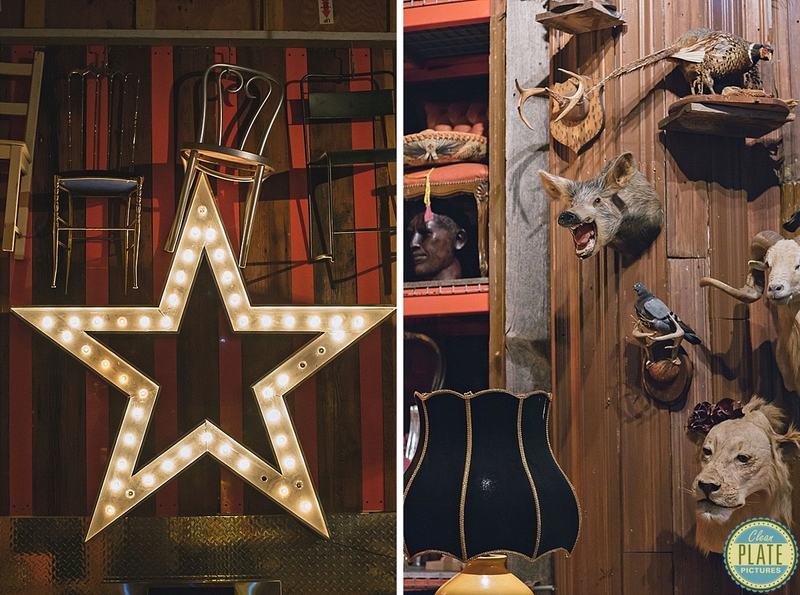 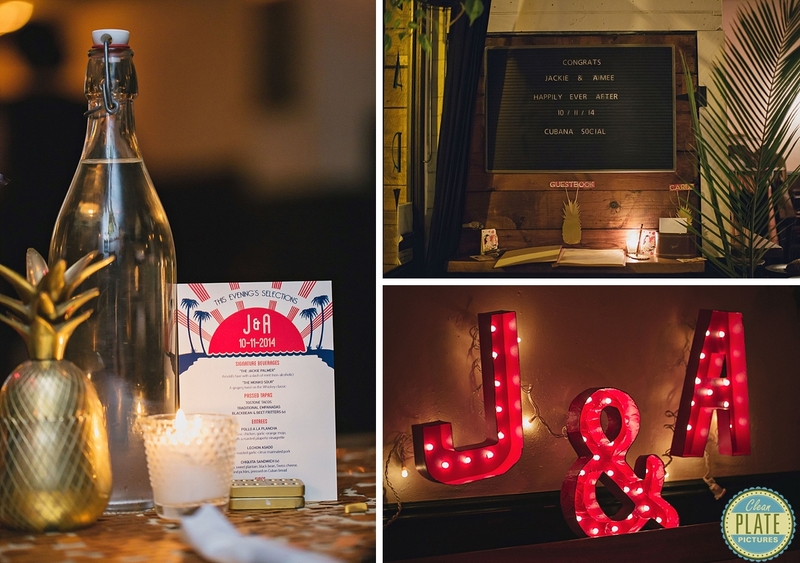 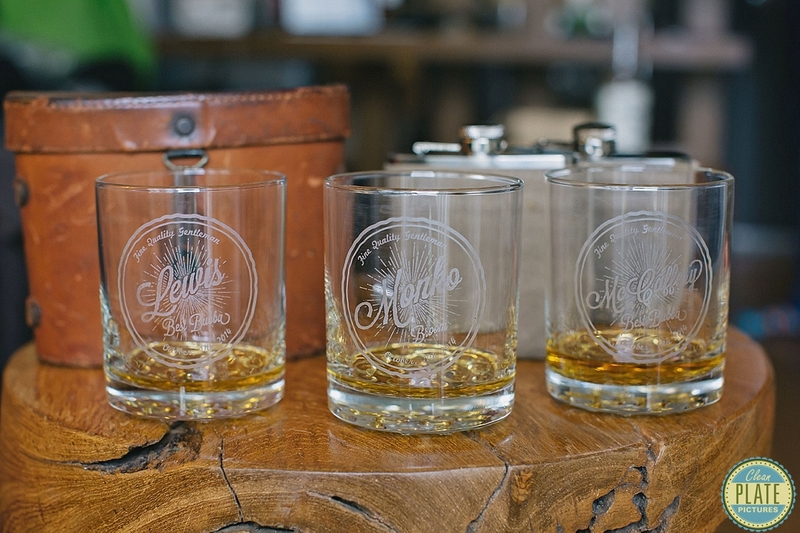 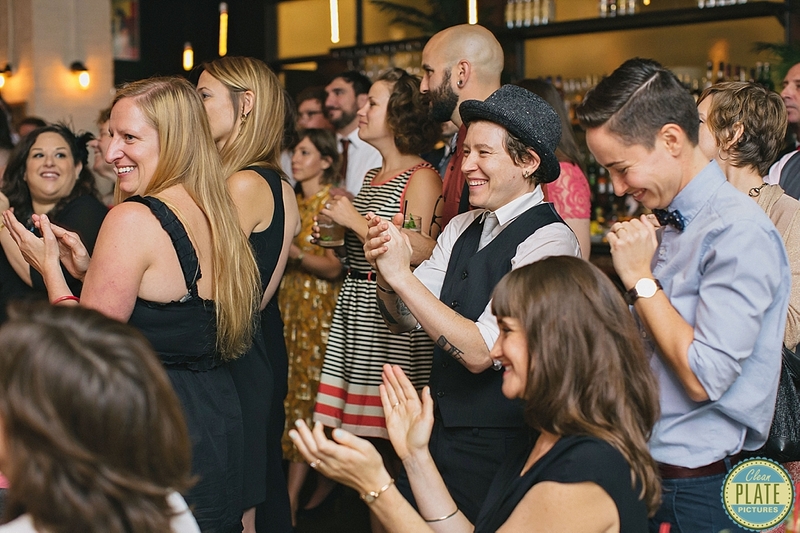 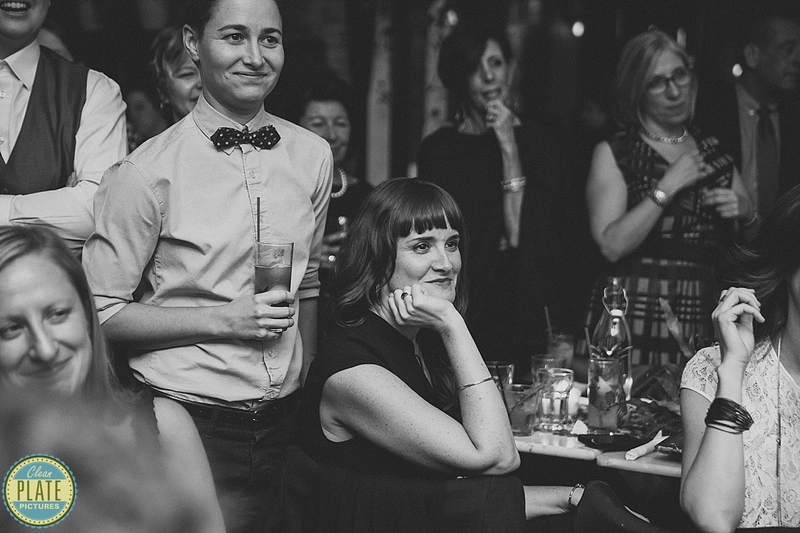 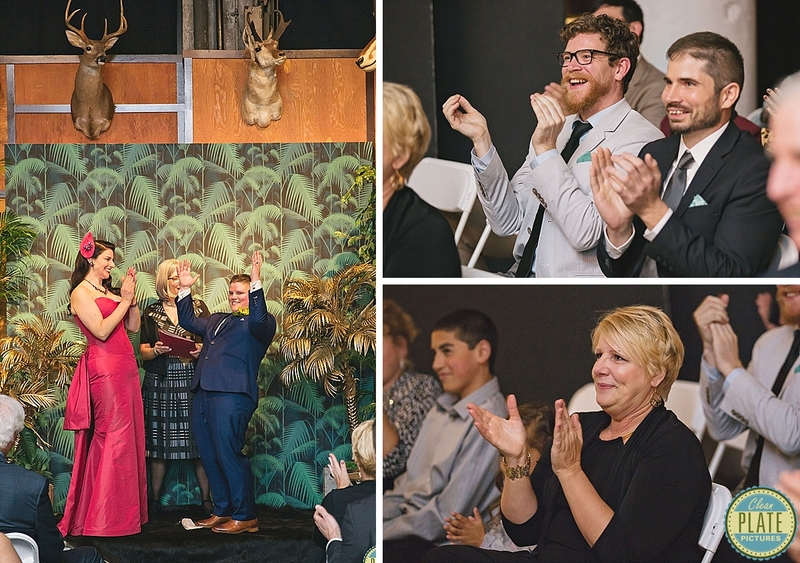 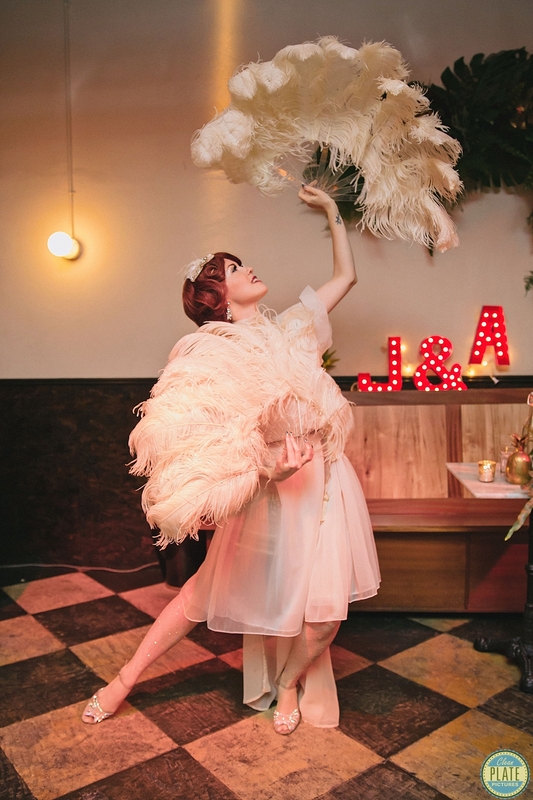 Their heartfelt ceremony was held at Acme Studio, which is full of interesting props and curiosities. 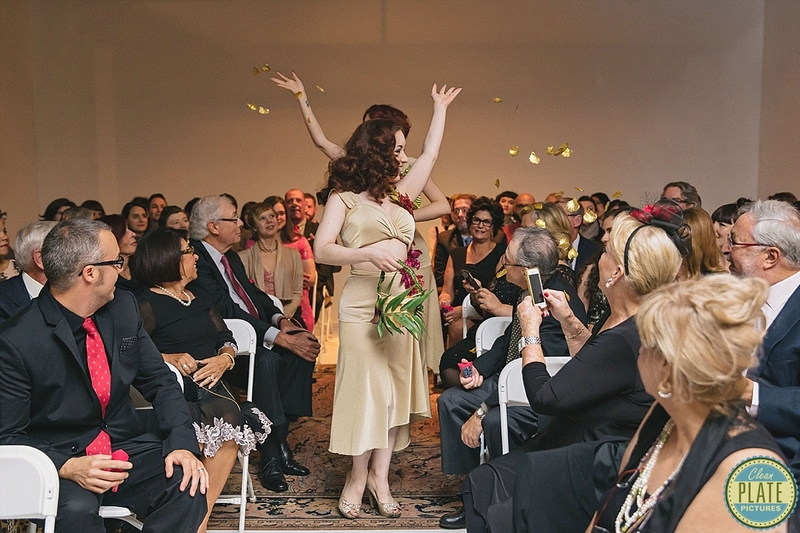 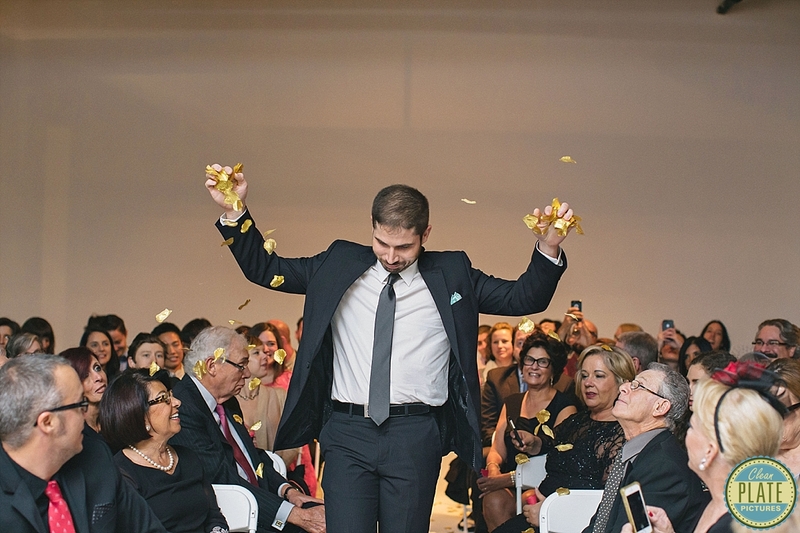 Burlesque dancers scattered golden petals before the couple walked down the aisle. 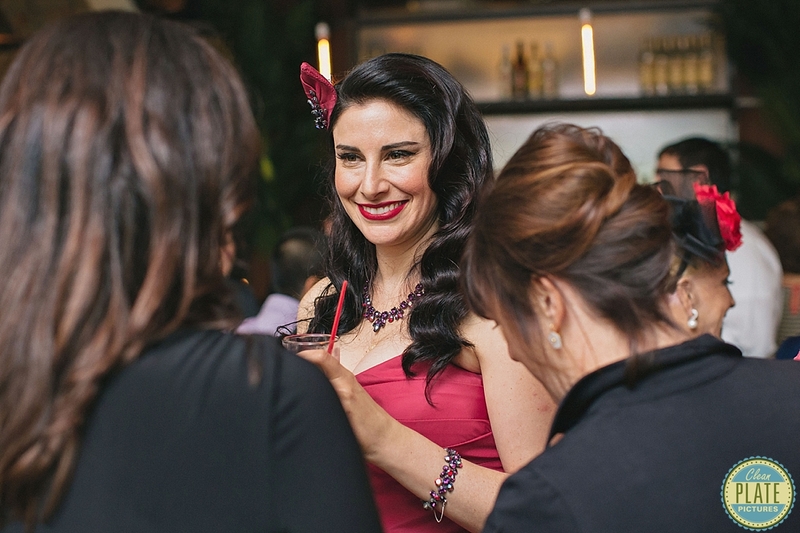 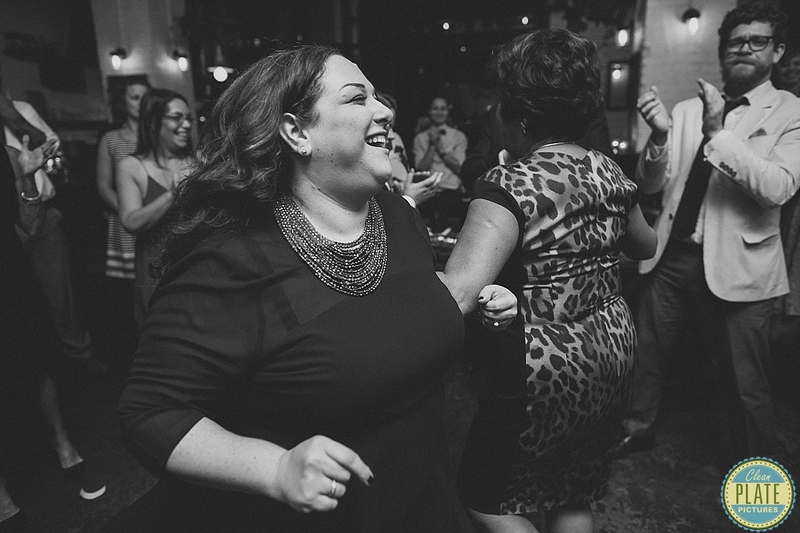 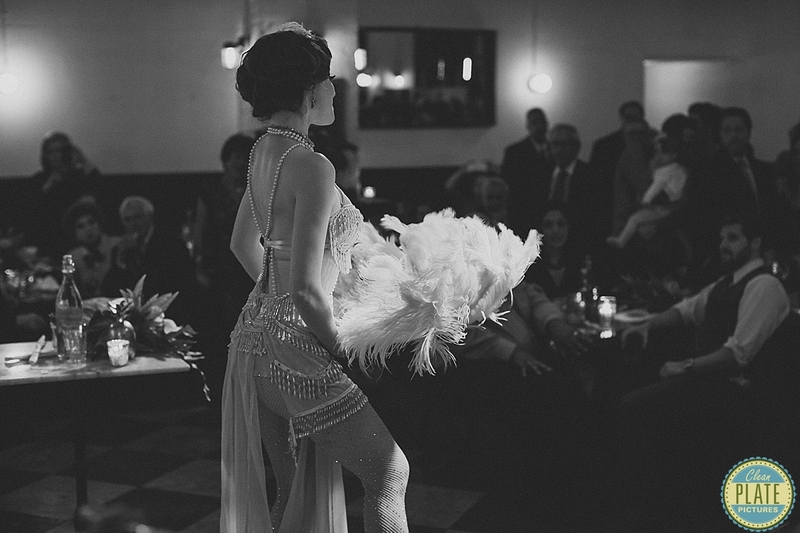 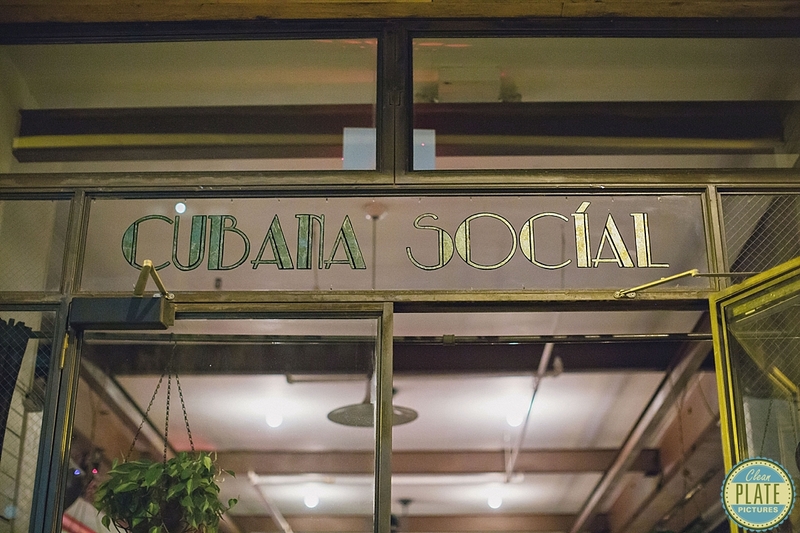 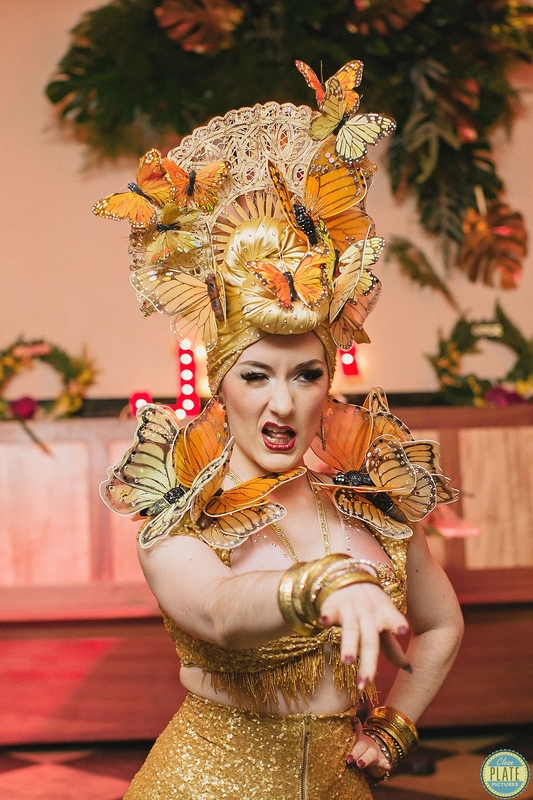 Later at the reception at Cubana Social, the dancers wowed everyone with classic burlesque routines. 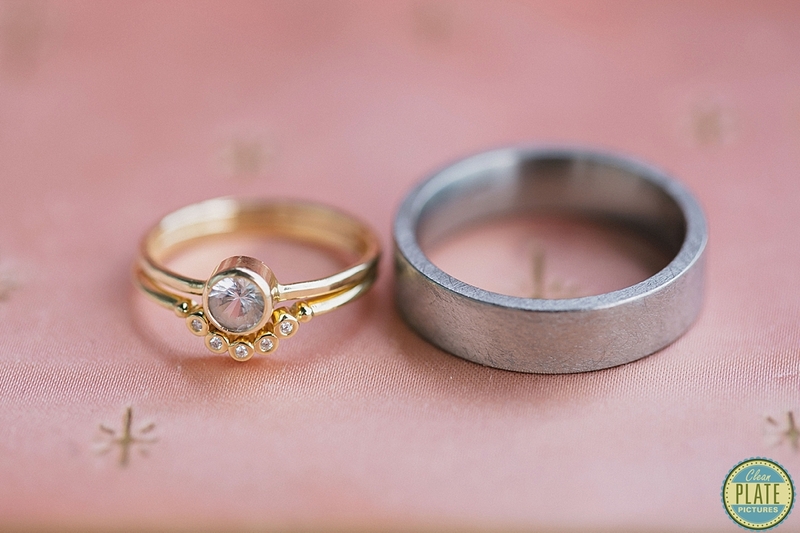 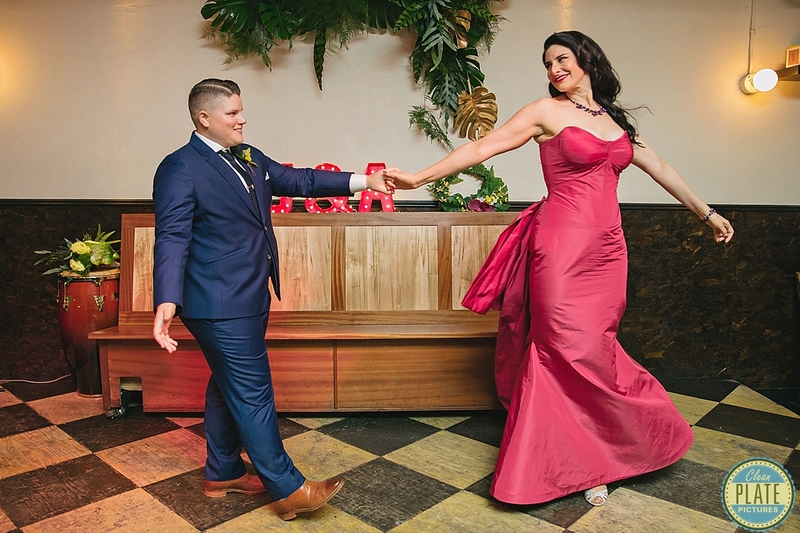 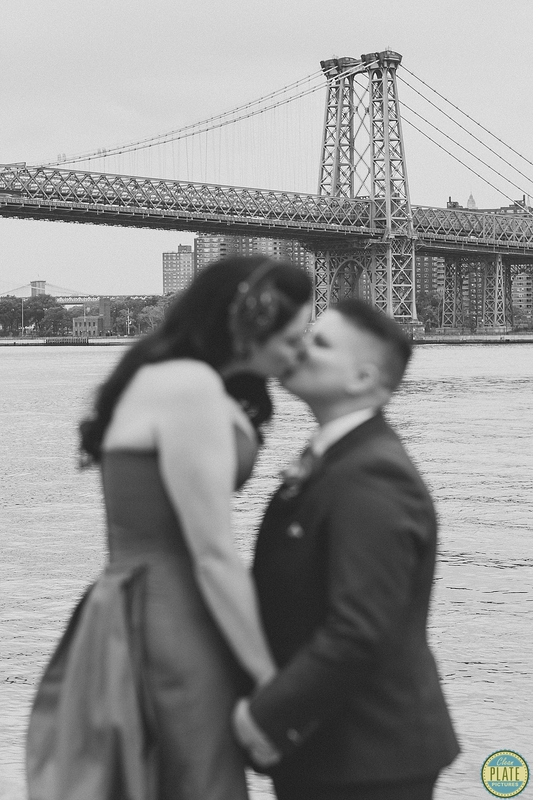 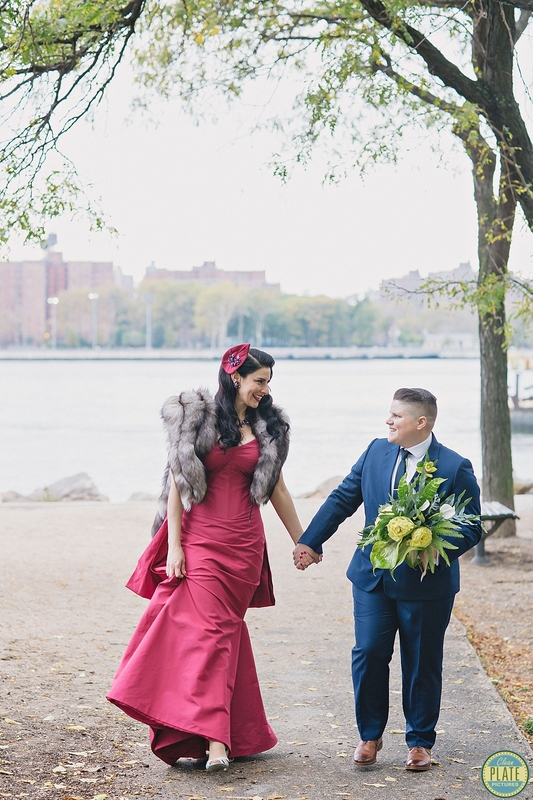 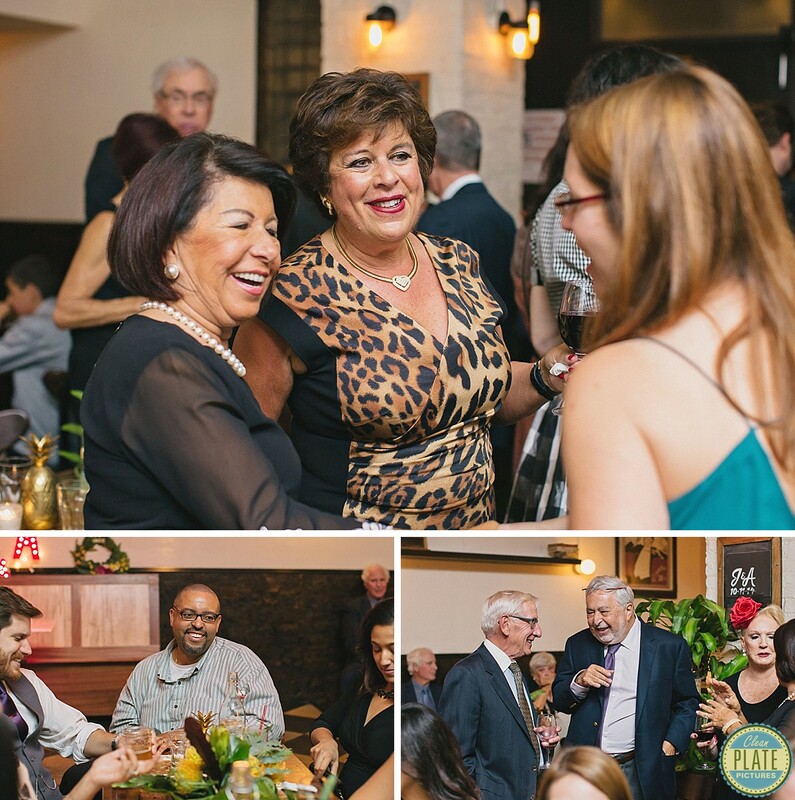 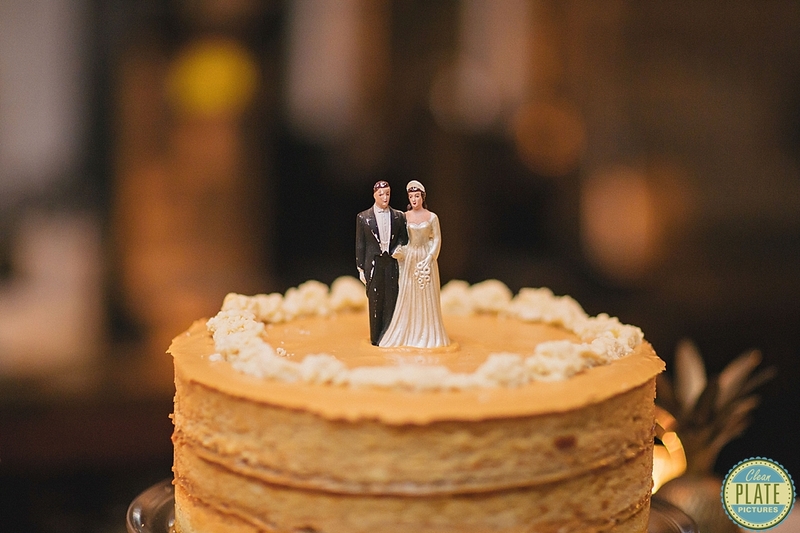 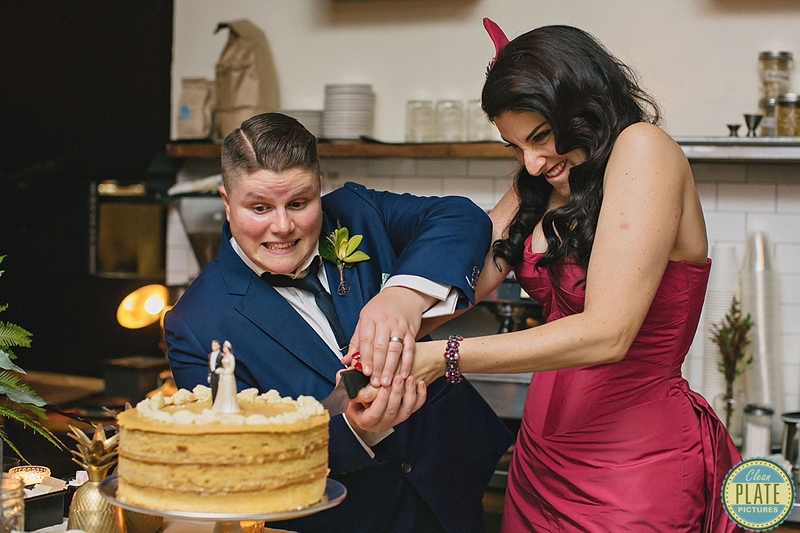 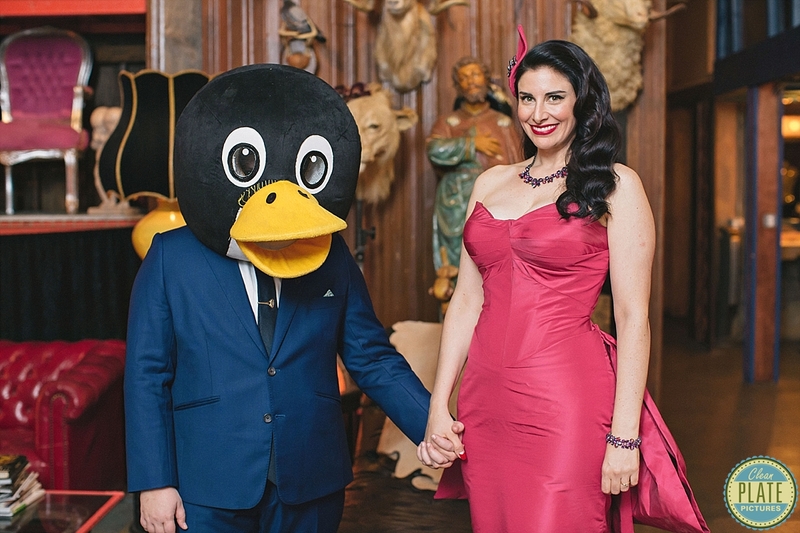 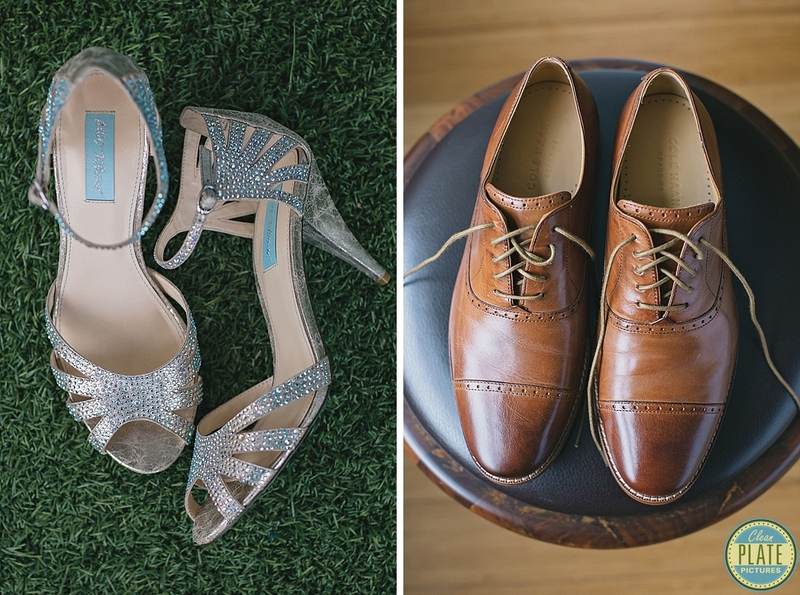 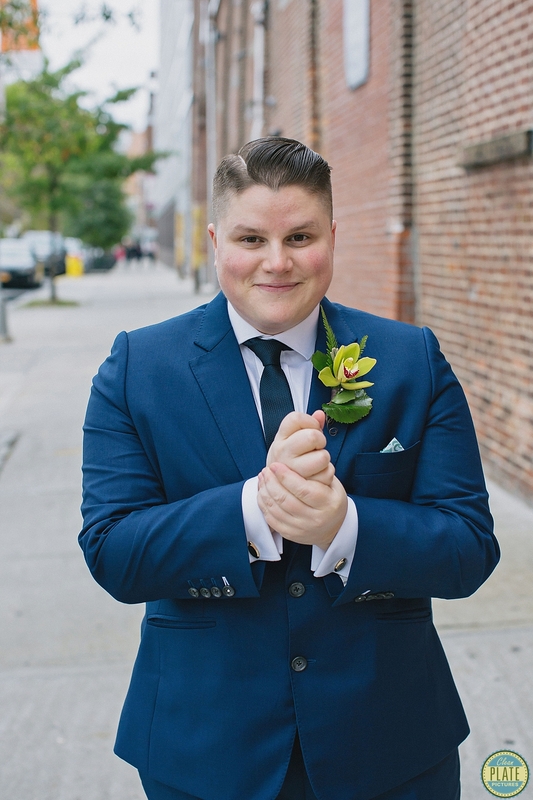 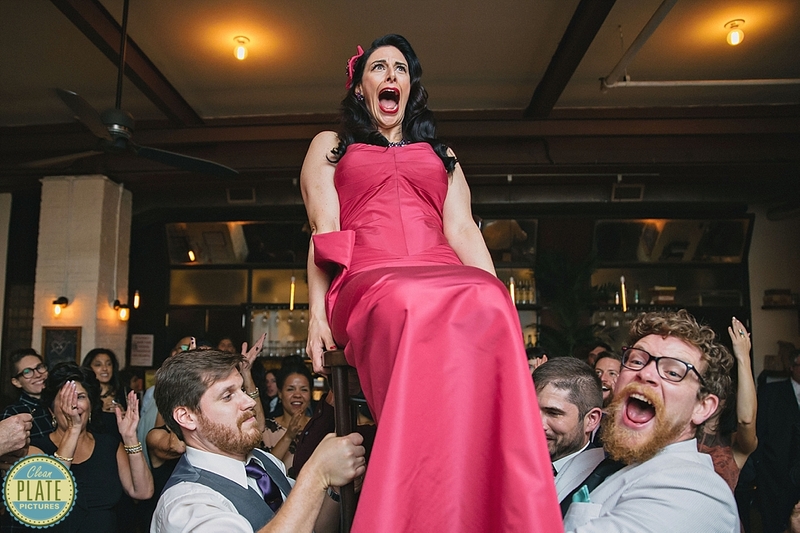 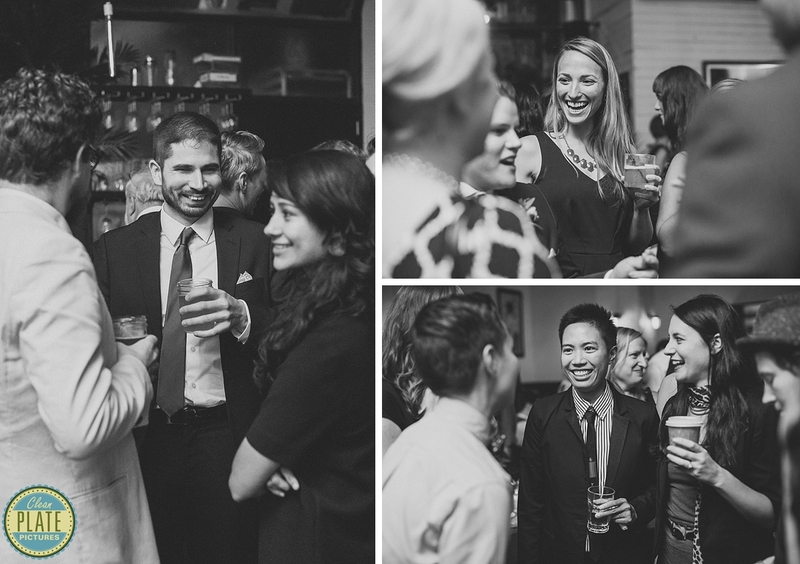 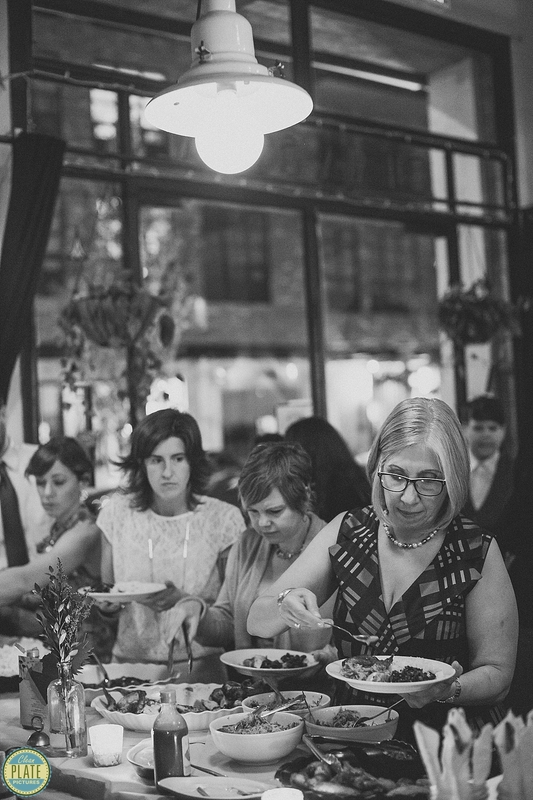 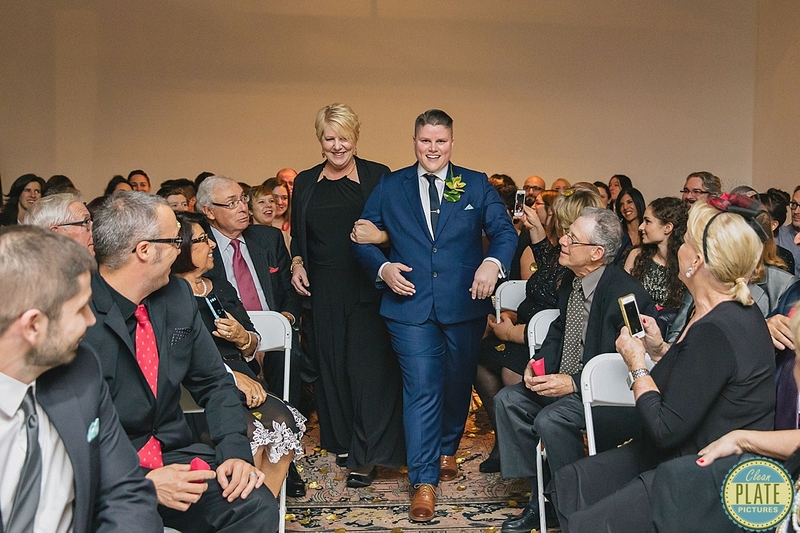 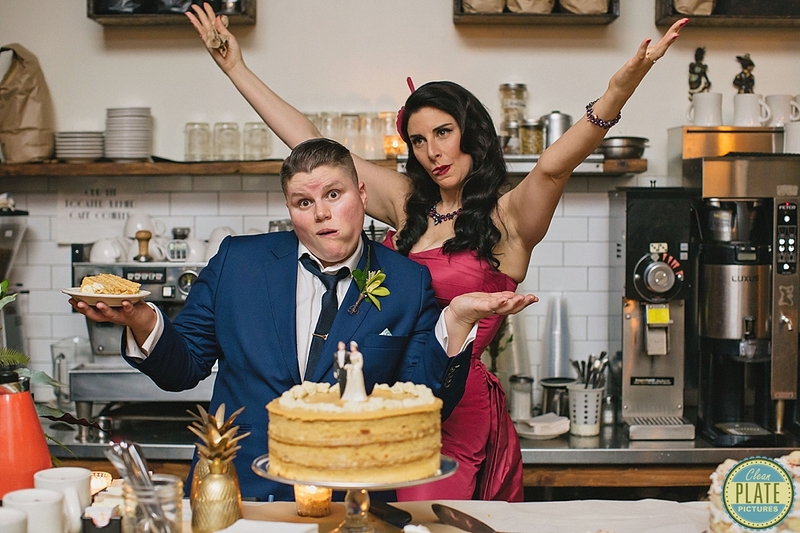 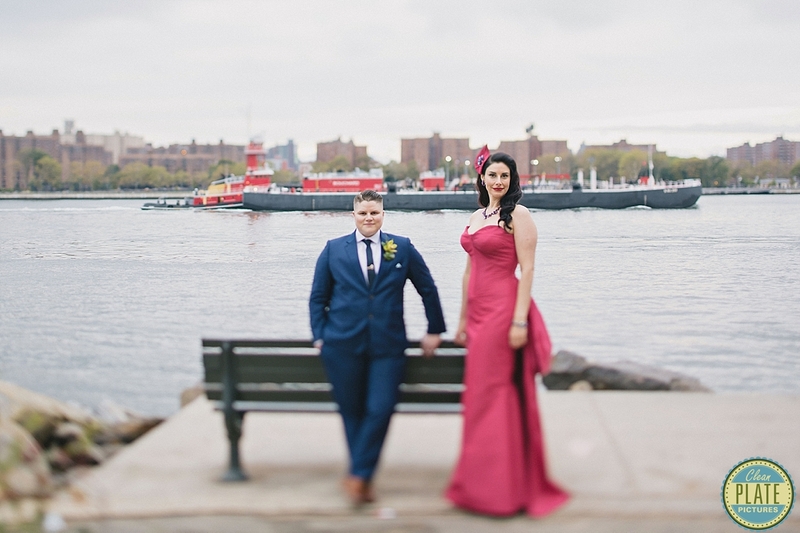 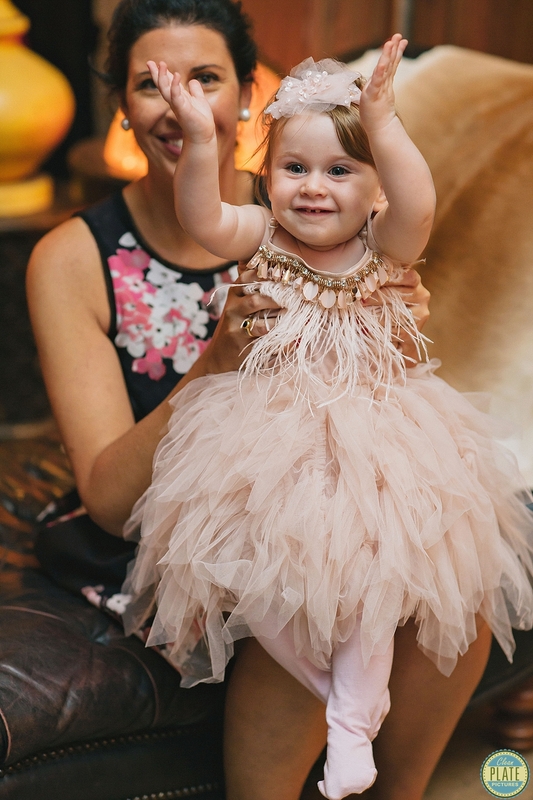 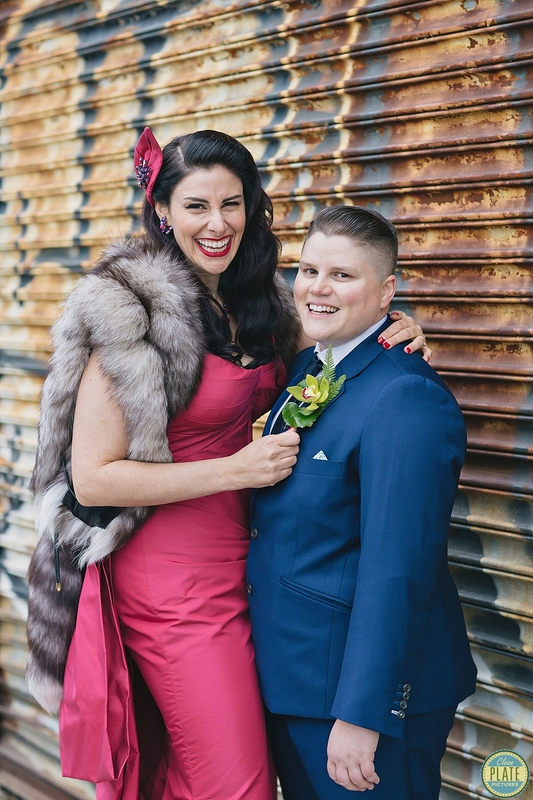 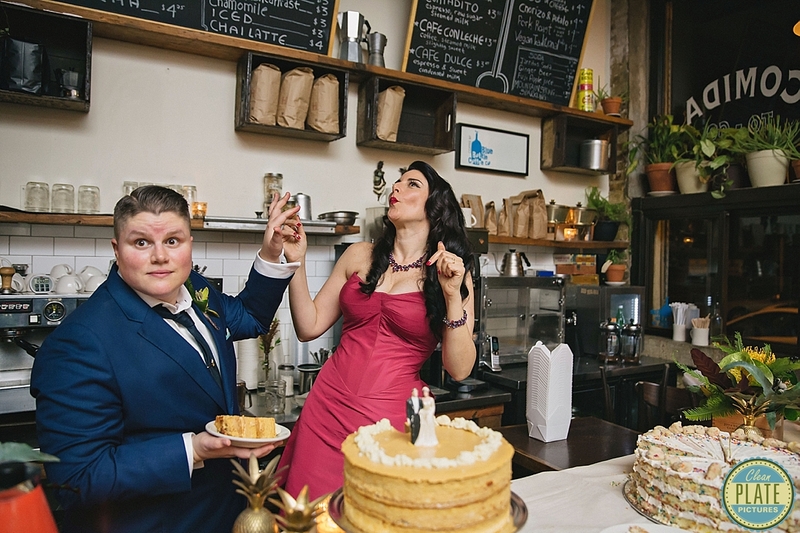 New York Magazine couldn’t wait to feature this wedding in their 2016 Winter Weddings issue and we don’t blame them. 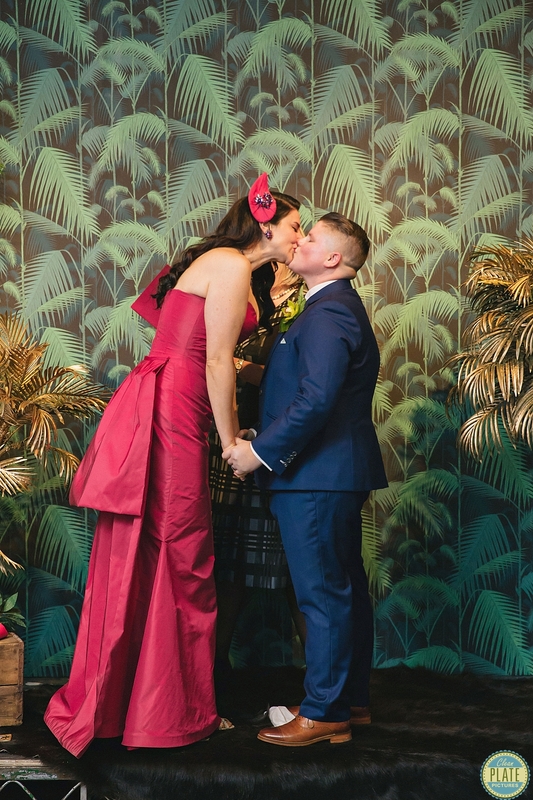 Truly a special day for these sweethearts.